Dreaming of an all Inclusive escape to faraway offbeat locations? Let us help you out with that! V Resorts have a range of experiential holiday packages. Go through our collection of destinations and choose the perfect package to suit your budget, schedule and taste. The properties are built to suit local environment, set amidst greenery, with large balconies and sit-out areas to enjoy nature. With the zest to tread the path less travelled, you can take on the role of a discerning traveler and enjoy the hidden gems in India. Here's a list of top 5 offbeat holiday destinations of V Resorts that is sure to cajole you. 1. V Resorts Aravali Silence Lakend - Thirteen kilometre from Udaipur, perched on top of a rolling hill, with a great view of the Lake Badi is V Resorts Aravali Silence Lakend Udaipur. Its great location - several kilometres from the main city – makes it an ideal place to unwind. 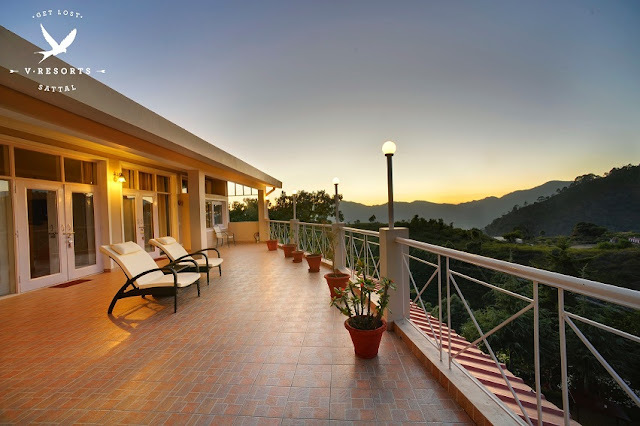 Watch the sunset, sipping your favourite brew in the pool, cycle around the hills and green patches with the lake by the side, go riding or just sit and introspect in peace in the sit-out overlooking the Badi Lake. Step out to discover the charms of Udaipur, the Lake City. 2. 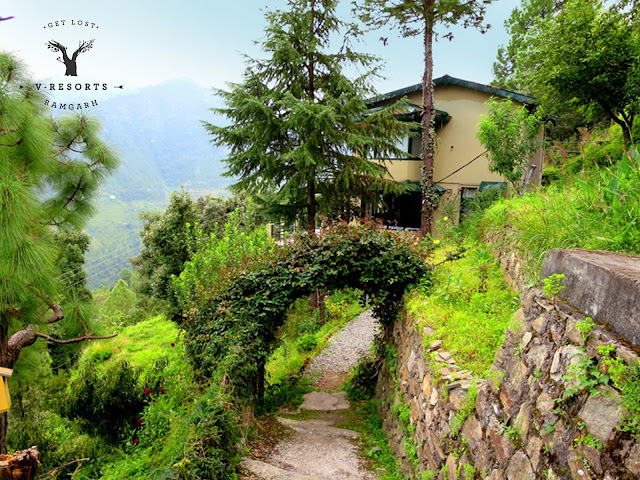 V Resorts Ramgarh - Find your muse at V Resorts Ramgarh, which is surrounded by the captivating snow-capped ranges of the Himalayas. There’s something in the enchanting views of the mighty mountains — and the striking peace and solitude — that sets the creative juices flowing. Relax on the terrace, take in the warmth of the sun, browse through the magazines in the in-house library or sip a juice in the gazebo. Who knows, the scenic setting might just inspire the writer in you. Address : MallaRamgarh, Ramgarh, Nainital, Uttarakhand 263137, India. 3. V Resorts Utsav Camp Sariska - Discover an unknown, enchanting part of Sariska. At V Resorts Utsav Camp Sariska, which is part of our premium Black collection of exquisite holiday destinations, you are up, close and personal with nature. The resort lies in Rajasthan's Tehla village at a side of the Sariska National Park that is magnificent in its isolation. Here you will find farmlands, bushes and hills. Close by is the 1,200 sq km national park. Not far away are historic forts, lakes that double up as superb birding destinations and several nature trails. 4. V Resorts BanniKhera Farm Rohtak - Less than two hours from Delhi, V Resorts Rohtak gives you a fascinating glimpse into village life. Sprawled across 10 acres in a Haryana village off NH-10, the resort is situated amid farmlands, far away from the anxiety-laden fast pace of city life. Here, go for a tractor, camel or bullock-cart ride; visit a fascinating herbal farm; relax by the in-house pond; get your hands dirty on a potter's wheel, take a curated village tour and have a traditional meal made of freshly procured vegetables and grains. 5. V Resorts Sattal - It’s a dreamy, enchanting world, surrounded by fluffy clouds, pine trees and the sparkling green waters of Sattallake. 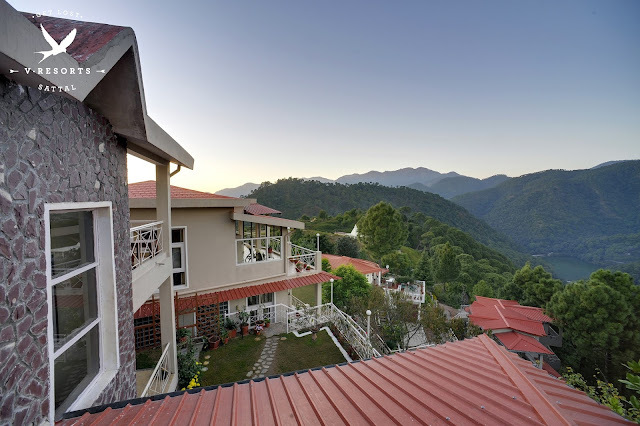 A great hill station just six hours from Delhi, V Resorts Sattal is perched prettily on the highest peak, and will mesmerize your senses. So, relax in a hammock, sip the locally made rhododendron juice and immerse yourself in the pages of your favourite book.